Home / 120x60plot. / alist developers ltd. / architects. 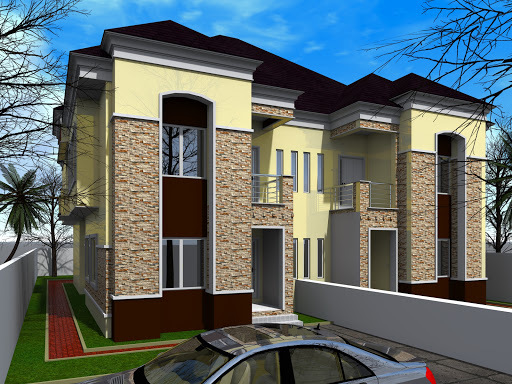 / Four bedroom duplexes / Four bedroom duplexs / Twin four bedroom duplex on a 120x60 plot. Twin four bedroom duplex on a 120x60 plot. This is a twin four bedroom design on a 120x60 plot. This design has a one bedroom flat as BQ. It contains the following spaces. Living room wit a bar space. Contact us for this design and any other one. Phone: +234 803 898 2710 calls/Watsapp.